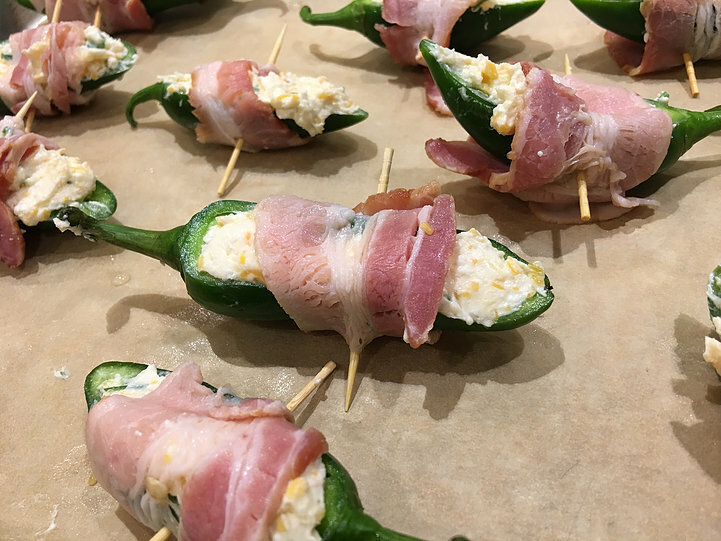 Jalapeño Poppers are the perfect finger food on game day! They are crispy and gooey, and salty and spicy, and easy to pop in your mouth. 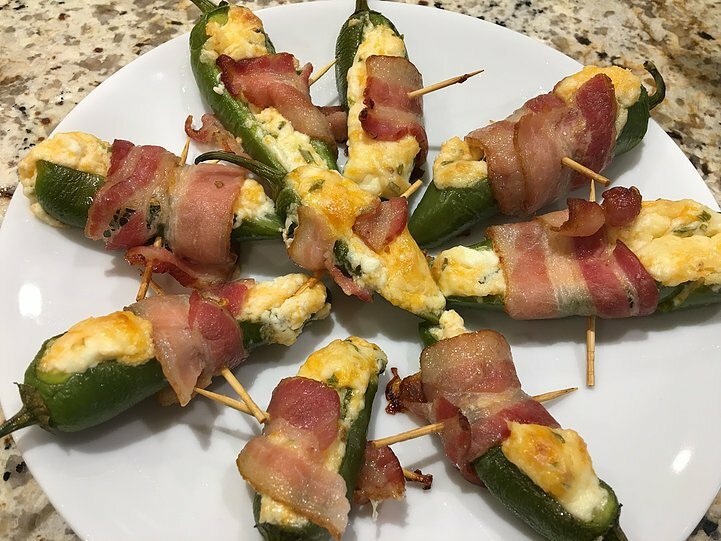 With loads of jalapeno peppers coming out of our garden this time of year, this was a great way to use them up. Not to mention that everybody loves them! Teamwork was the theme for today. Working together, slicing and scooping, and then stuffing and wrapping, we reinforced how important it is to work together both in and out of the kitchen. Wash peppers. Slice off a piece of each pepper lengthwise so seeds are exposed. Save the slices for another use. Using a small spoon (1/4 tsp measuring spoon works) gently scoop out the seeds and membranes. In a small mixing bowl, mix all cheeses and the chives together until combined and creamy. Spoon a small amount of cheese mixture into each pepper without overfilling. Cheese should be level with the pepper rim. Cut the 6 bacon slices in half. 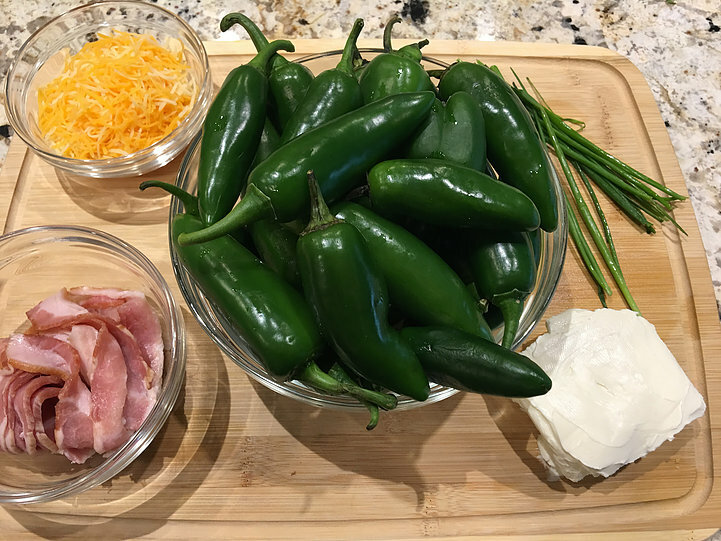 Wrap each pepper with a half slice of bacon and secure with a toothpick. Cover the bottom of a baking pan with parchment paper. Place poppers cheese side up on the parchment paper. Bake for 30 minutes until bacon is crispy. Cool a little before eating.